The must-have lifestyle, recipe and organization resource for on-the-go, family-oriented women. Convenient access anytime, anywhere on your tablet or mobile device. 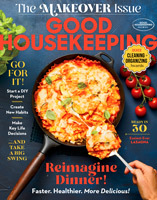 Give a subscription and give the gift of recipes, beauty, and organization all year long!